Definitely Jackson Pollock… you should see my shirt after eating! I feel embarrassed at the amount of litter I have created over the years so now I go through a routine of stuffing the stuff that blows away into a bag attached the rucksack. GM/SS-125 calls for HF antenna tests for my imminent EA8 visit. 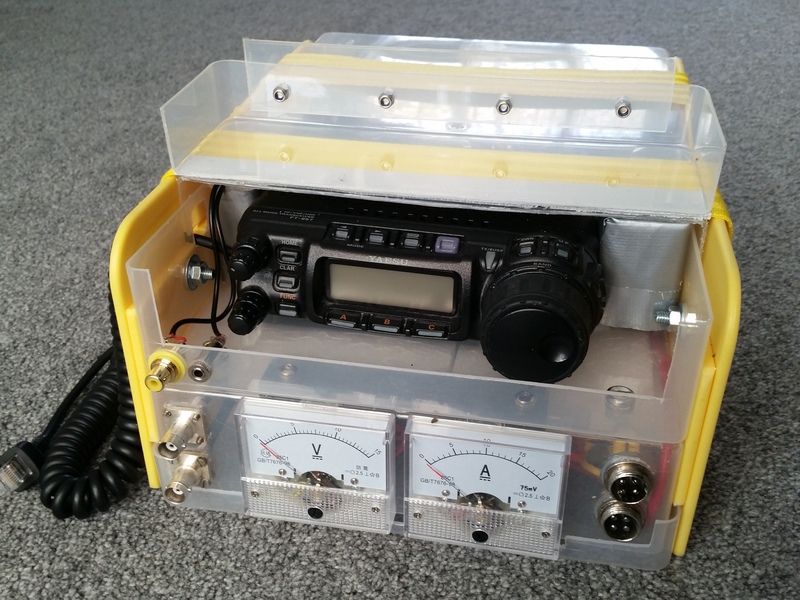 I know folk use plastic food containers as lightweight transceiver boxes, that is another option I would think will be suggested. Very sturdy! and I didn’t find it too heavy… YMMV, though as always. The TRX would also be wrapped in bubble-wrap inside. 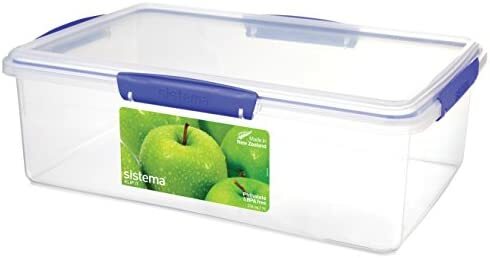 I use plastic food boxes too. 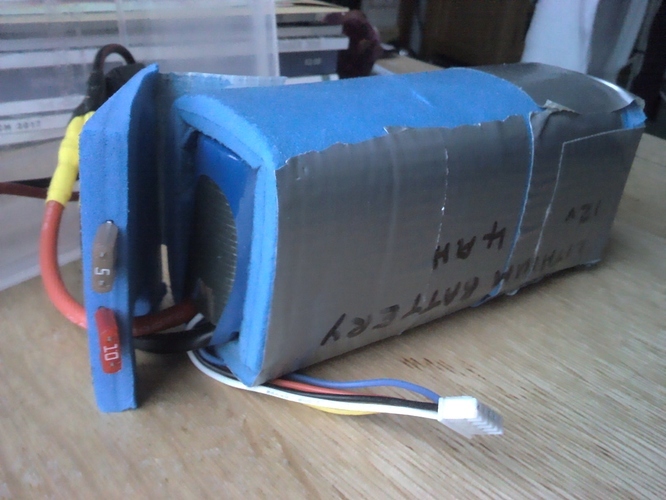 Another option, which I use for my LifePo battery, is to make a fitted case out of closed cell foam (eg an old sleeping mat) joined together with gaffa tape. I’d probably go with that for the 857 as it offers quite a lot of protection even if you fall backwards onto the rucksack. My 857 is truly encapsulated in plastic. Okay, I appreciate that have gone too far (the bolts are even stainless steel), but I can now relax on those snowy, sleety, rainy GM summits. And this setup still stays in the backpack. The boxes are paper storage boxes back to back, ordered off eBay. You forgot wind. It was diabolical today. I only popped out to confirm a new 30/20/17 dipole did work outside the garden and was deployable. Deployability needs working on. Yes, that virtually constant state… so constant I forgot to mention it. Wind certainly helps get the hail and graupel into the backpack. Absence of wind on a GM summit is a rare thing and something to be treasured. You forgot wind. It was diabolical today. Bad luck old man - have a peppermint.